Worried about Brexit - The Bible Answers. 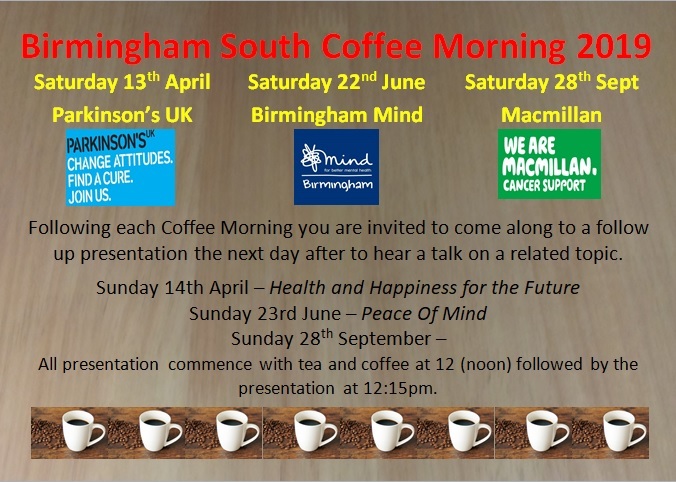 Our Second Coffee Morning is being held on Saturday 9th June between 10.30am-12.00pm for Acorns Children's Hospice. Our first Coffee Morning is being held on Saturday 10th March between 10.30am-12.00pm for National Deaf Children's Society. Our First Coffee Morning is being held on Saturday 8th April 2017 between 10.30-12.00 for The British Hearth Foundation.